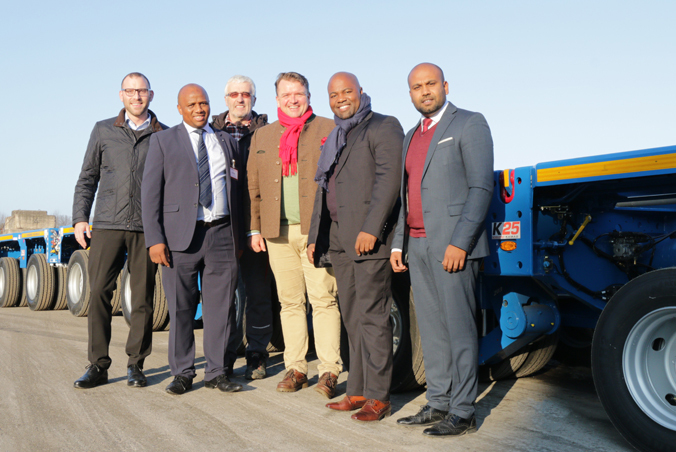 Eskom Rotek Industries has purchased 128 axle lines of the proven SCHEUERLE-KAMAG K25 H, making this buy the biggest order of K25 H modular trailers the TII Group ever obtained from the African continent. As the largest power supplier in Africa and the seventh largest in the world, an efficient transport system is indispensable to transport heavy loads such as generators, transformers and other heavy components. Thanks to the modular design, the K25H offers a wide range of combination options, which offers a solution for all transport cases. A wide range of accessories as well as the special designs make the K25H a cost-effective vehicle for use on public roads and in-house transport.